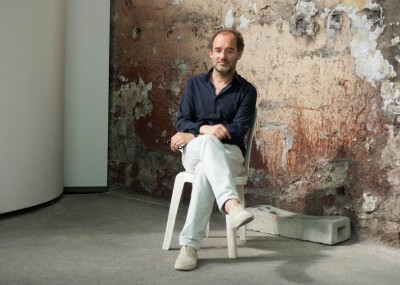 David Campany is a British writer, curator, artist and teacher, working mainly with photography. Campany has written and edited books; contributed essays and reviews to other books, journals, magazines and websites; curated photography exhibitions; given public lectures, talks and conference papers; had exhibitions of his own work; been a jury member for photography awards; and teaches photographic theory and practice at the University of Westminster, London. Campany’s books have won the Kraszna-Krausz Foundation Book Award, Infinity Award from the International Center of Photography, Silver Award from Deutscher Fotobuchpreis and the J Dudley Johnston Award from the Royal Photographic Society. Tell us about your approach to photography. How it all started? David Campany (DC): The start? Around the age of ten I got interested in other people’s family albums and in cinema. Family albums were fascinating because of how ingrained photography is into our understanding of ourselves, I guess. Cinema was my gateway to ideas, to other aesthetic realms. Put those two together and you have the familiar made strange and the strange made familiar. That’s a rich mix. I expected photography to be a quick passion that burned out, but I’m still interested. I think this is because photography is not really, or not only, a specialism. Yes, it’s a ‘medium’, of a kind, but to be interested in photography is to be interested in all of its possible uses and subject matter. At least, that’s how it is for me. Photography is a passport to so many things: art, design, politics, history, fashion, architecture, anthropology, sociology, medicine, conflict and so forth. How did you first get into curating exhibitions? DC: It was only a few years ago. In 2010 I got three offers to curate, or co-curate, exhibitions. The British artist Hannah Collins invited me to organize a big show of her work that toured Spain. The Jerwood Space in London gave me carte blanche. I made an exhibition about the different ways photography can express or respond to locations. That show was titled ‘This Must be the Place’, with work by nine contemporary artists. And Diane Dufour asked me to work with her on the inaugural show at Le Bal in Paris. Together we made ‘Anonymes: L’amérique sans nom: photographie et cinema’. In each of these three show there was still photography, single images, sequences of images, books, magazines and projected films. I like to use the space of exhibition to bring together work made for different platforms – wall, page, screen. Being a curator, you must meet lots of interesting photographers and become involved in lots of exciting projects! What has been the highlight of your career as a curator so far? DC: Recently Le Bal asked me for my ‘dream show’. Well, you shouldn’t really do your dream show (that would be like discussing your dreams in public). But for a long while I had been thinking about one photograph, ‘Élevage de poussière’, made in 1920 by Man Ray and Marcel Duchamp. I came to feel it was a sort of secret key to the last century. A very risky idea, I know, but I thought it might make for an original show, and one that comes close to my own thinking about images, which tends to be a mix of the analytical and the intuitive. Le Bal likes risky ideas so they let me go ahead. Titled ‘Dust’, the show takes in many things: military aerial photography, forensics, postcards and press photos of dust storms in America, the bombs dropped on Hiroshima and Nagasaki, conceptual art, abstract paintings, and many more things. In the weeks before it opened I was quite worried about how the show would be perceived. I didn’t want it to feel like an indulgence, or a vanity project. But in general the public and the press have been extremely positive. The catalogue has nearly sold out and I get emails almost every day – everyone from school children and Phd students to artists and art historians – telling me they got something from it. Some speak about the show in very emotional terms (the melancholic poetry of it), others offer me their own very sophisticated readings. So that’s been a real highlight for me. When you curate an exhibition, how do you select the images to include? DC: It’s a very slow process. Often there are key images. For example with ‘Anonymes’ they were Jeff Wall’s 2002 image ‘Men Waiting’ and Walker Evans’s 1946 Fortune magazine piece ‘Labor Anonymous’. I wanted to have those two works in the same exhibition space, in close proximity. A huge tableau photograph made for the gallery and an old magazine spread, both dealing with exactly the same subject matter (the daily work of anonymous citizens). Other images followed from that. Works are chosen with the exhibition space in mind. An exhibition is not a catalogue. An exhibition needs to work as an embodied experience. I think that very often curators of photography exhibitions forget this, and shows end up feeling like catalogues on the wall. I think also that many contemporary shows of photography are too big. I like to work with just two or three rooms. Photographs demand a lot from us: they have a profound effect on our nervous systems, even if we’re only looking at them for a few seconds. Despite that fact that we might live our lives surrounded by photographs, we cannot look at many and keep our concentration. Have all these years of being involved in photography, on so many levels, changed your way of seeing the world? DC: I like the appearance of the world and I always have. Light falling on things, or on places. Gestures. Chance configurations. Perspectives. Points of view. I’m happiest sitting on a street looking, looking, looking. I’m sure photography has had some effect on how I look at things that but I would like to think it was the other way around, that enjoying the appearances of the world somehow predisposed me towards photography. When do you think it’s important to tell the story of a photograph: the context in which it was made, the photographer’s relationship to the subject and his or her perspective? Is it always important? DC: That has to be taken on a case-by-case basis. Context is interesting because photography exists in so many contexts and its meaning can be shaped so much by its context. Recently I curated a show of Walker Evans’ magazine work, which is touring at the moment. Evans understood context so carefully. None of his images for magazines mean much if you take them off the pages for which they were intended – his editing, his layouts, the texts he wrote to go with them. Intentions? In general I’d say I’m never that interested in knowing photographers’ intentions. I rarely trust photographers’ accounts of their own work and I am never interested in relating to a photograph through guessing intentions. I’m enough of a post-structuralist to think that meaning lies more in the destination of the image (you and me) than in its origin (the photographer). Is there any contemporary artist, photographer or writer, even if young and emerging, who influenced you in some way? DC: I am sure there are plenty but I can’t name names. If influences really are influences, we often don’t know what effect they are having on us, and those effects might be quite delayed. I am suspicious when people talk confidently about their recent influences. I suspect they are mere infatuations. Three books of photography that you recommend? DC: Recently I reread Max Kozloff’s ‘Photography and Fascination’. It was published in 1979. Kozloff’s writing is intelligent and elegant. That’s a rare combination. Someone should re-issue that book. Victor Burgin’s ‘The Remembered Film’ is more rewarding each time I read it. I found Sally Mann’s recent memoir ‘Hold Still’ very compelling. Is there any show you’ve seen recently that you find inspiring? DC: Recently Pace/MacGill in New York paired Lee Friedlander’s photographs of tangled trees with drawings by Pierre Bonnard: a humble but very rewarding exhibition. DC: A book about the exhibiting of photography. A philosophical history of photography told through one hundred photographs. And I’m touring a show inspired by my book ‘The Open Road: photography and the American Road Trip’. How do you see photography evolving in the next decade, particularly in the light of new digital developments and the Internet? DC: I have learned never to speculate.